ipDTL is the bomb! It’s quickly replacing ISDN as the go-to tool of choice for Voice Over artists and producers. The whole shebang runs in Google Chrome and requires no additional software or plugins or installs. If you have Google Chrome, you can use ipDTL. ipDTL also allows connections to traditional ISDN. ipDTL enables the client (that would be you) to listen in and direct a voiceover session or route the audio to your audio workstation, from anywhere in the world. Pretty cool eh! All of this amazing tech in the end saves time and money – no commuting to remote studios, no wasting time on revisions, because you’re essentially in the studio with me directing the voice over session. Once we’ve finished the ipDTL session, I’ll drop the file on my Google Drive encoded in your choice of format, or you just record it on your end using the ipDTL connection. A computer with a built-in microphone or a headset with a mic plugged into your computer. 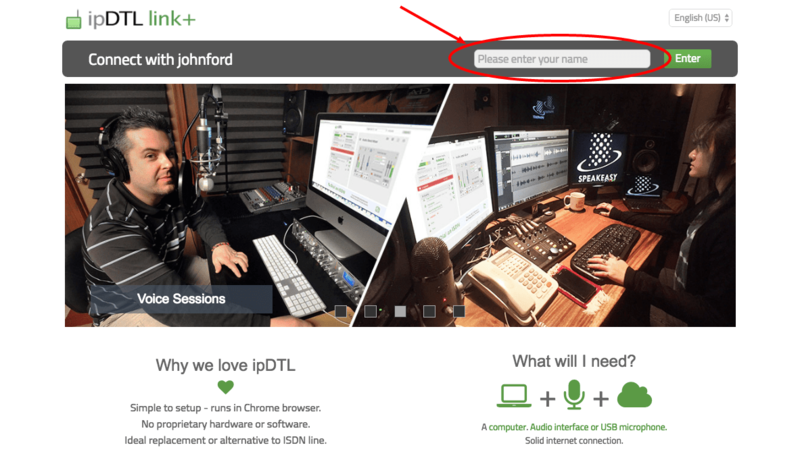 Now you can connect directly to me to direct your voiceover project with ipDTL in high-quality audio. OK, this is downright stupid easy. In just 3 steps you’ll be connected and ready to roll. Click on the link below or the icon (or you can copy and paste it into Google Chrome if you like). This is a unique login that will connect you directly with my studio. Here’s the splash page of what you see after you enter your name and and view the ipDTL login page. That’s just about it, you’re done! I’ll see when you’ve logged in and finish the connection on my end. 1.If you click on the mixer icon in the top right of the screen it will bring up a virtual mixing desk. Adjust the volume if needed and select which audio source to use. 99 percent of the time ipDTL will automatically select this for you, but if you’re using an external sound card, some manual adjustment may be needed. 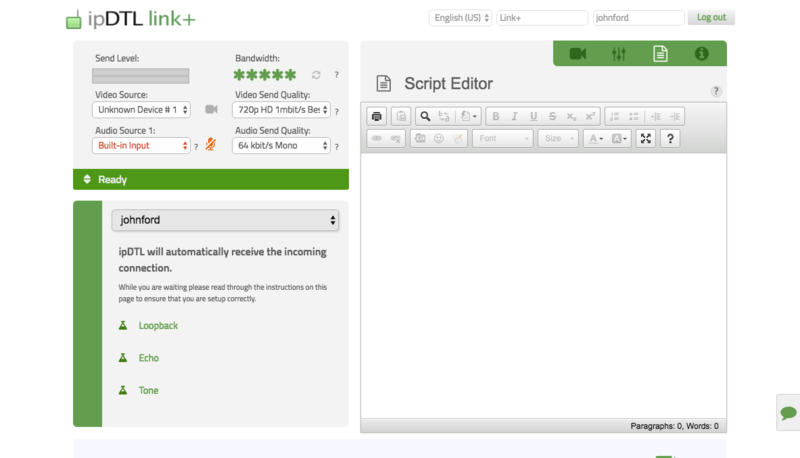 2.There is also a chat area where you can upload files, scripts and communicate with the talent (that’s me). If you have any questions or would like to book a voice over session with me, simply fill in the form below and I’ll get back to you. Then the client doesn’t need to subscribe to Ipdtl? That is correct. Only you need to subscribe, the client just needs to use chrome or a chromium based browser.